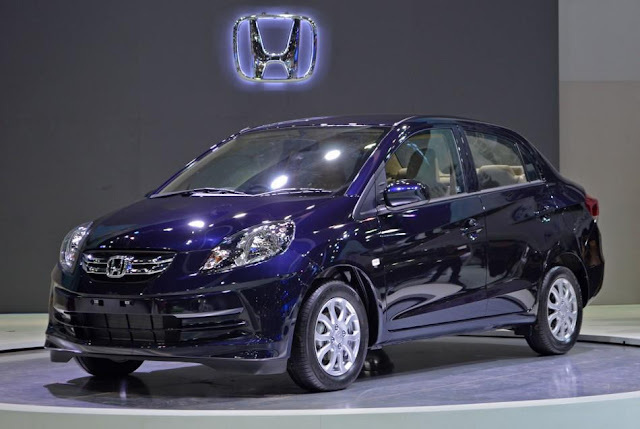 Honda Cars India has officially announced to launch the Brio Amaze diesel car in India in April 2013 and plans to take it on to the rivals likeMaruti Suzuki's Dzire, Chevrolet's Sail sedan and Mahindra's Verito. The Vice president from Honda Car India, Mr Jnaneswar Sen, confirmed that the Brio Amaze will be launched in April 2013. Indian market will be the second one after Thailand to witness the launch of Honda's first Diesel powered Brio sedan. You could also view Brio Amaze's TVC in Thailand. Meanwhile, Maruti Suzuki has also announced to launch the refreshed Dzire by end of 2013 to counter the Honda's Brio Amaze. The turbo diesel engine which would be used in Honda's Brio Amaze would be a downsized version of the 1.6 Liter i-DTEC motor that Honda uses on cars like the Euro-spec Civic and CR-V. Based on the EarthDreams family, the 1.5 Liter turbo diesel motor that’ll power the Brio Amaze is expected to be highly fuel efficient. This very engine will also be used in the next generation models of the Jazz hatchback and the City sedan, with both cars slated to debut in India during 2014. The Brio Amaze’s other engine option will be the 1.2 Liter i-VTEC petrol engine that is also used on cars like the Jazz and the Brio hatchbacks. The sedan is likely to be launched with a starting price of INR 4.99 Lac for the base petrol variant.